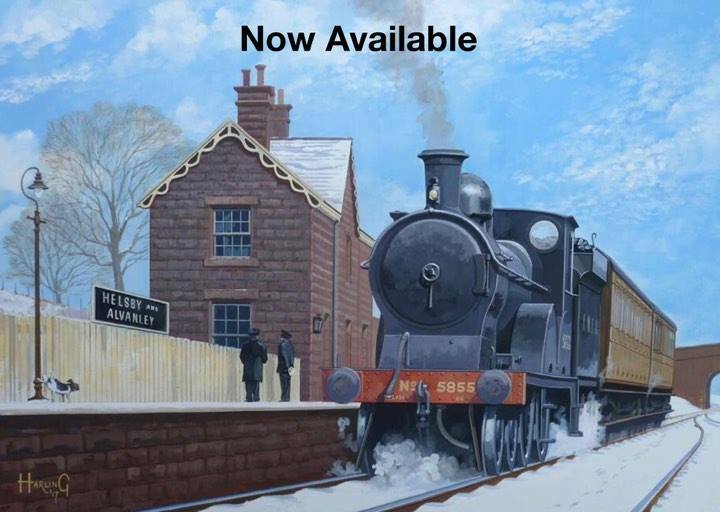 Helsby and Alvanley railway station has been brought back to life by Nick Harling, member of the Guild of Railway Artists. Waiting for the Workers, Winter 1936 fine art print is priced at £25 plus p&p and is limited to just 50 prints signed and numbered by the artist. Message North Cheshire Rail Users Group via their Facebook page or call into Helsby Post Office to purchase your print. All profits will go back to North Cheshire Rail Users Group to continue work at your local stations. A great gift for Christmas or any other Occasion. Click the below image to see the full painting.